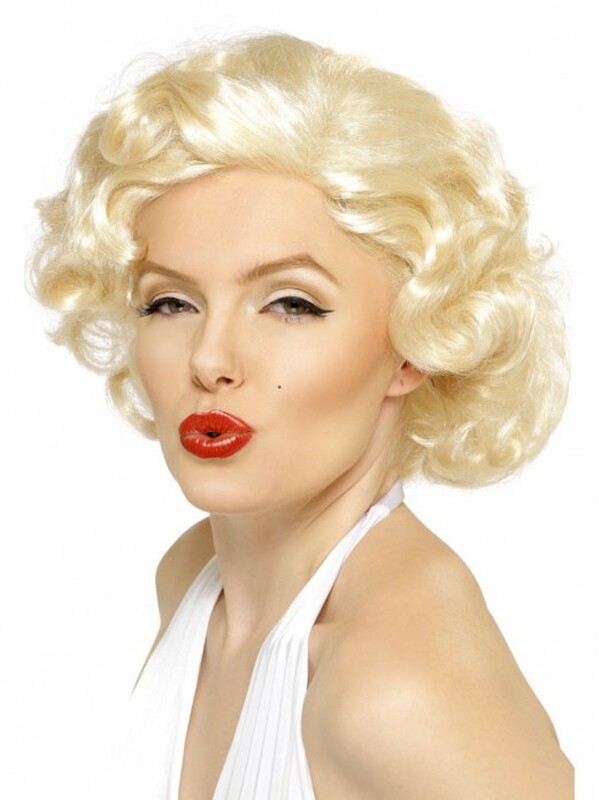 Official Marilyn Monroe Wig with platinum blonde wavy bob design to transform you into this Blonde Bombshell. An official licenced Marilyn Monroe Wig. The wig is short with a parting to the side and soft wavy design to create this iconic film star look. The wig is brand new and comes sealed in a box for protection. The wig is one size to fit most adults.